One Water was the topic of discussion at Jersey Water Works’ annual membership meeting. We learned that there are an enormous variety of projects that exemplify the One Water concept here in the Garden State. This content originally appeared on New Jersey Future’s blog, Future Facts. Camden County MUA’s training programs are developing the water sector workforce, connecting people to economic opportunity, and educating the public about environmental stewardship. One Water: the idea that all water, regardless of source or use, has value and should be managed as one cycle looking across economic, social, and ecosystem needs to deliver multiple benefits. This was the topic of discussion at Jersey Water Works’ July 19 annual membership meeting. Led by longtime Jersey Water Works member Chris Daggett of the Geraldine R. Dodge Foundation, participants went through an exercise at their tables that asked them to talk about a project, either current or upcoming, that exemplified the concept of One Water. The Atlantic County Utilities Authority is exploring a water re-use project, that will reuse treated wastewater instead of dumping it a mile off the Atlantic City coastline. Cleaned and treated wastewater is suitable for many uses, including agriculture and landscape irrigation, industrial use, groundwater recharge and construction activities. 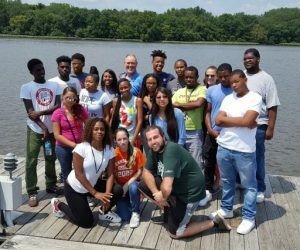 The American Littoral Society has a training program for at-risk youth in urban communities in the Cohansey River watershed, to help them understand watershed science through training in water quality and stormwater management. As part of this program, students learn about the challenges faced by downstream communities as a result of actions taken by communities upstream, underscoring how water connects and affects all communities. 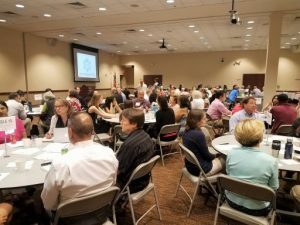 The Watershed Institute is developing a two-day training course to teach contractors how to construct green infrastructure installations effectively. 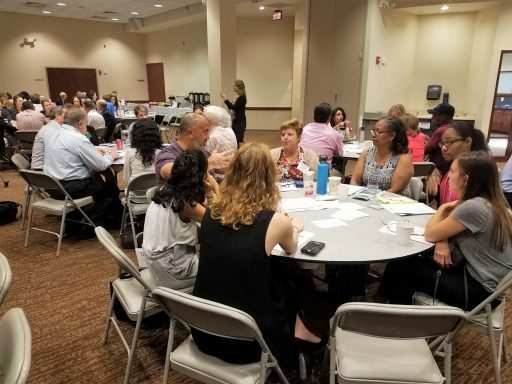 In addition, several organizations, including the Passaic Valley Sewerage Commission, cited small-scale green infrastructure projects — rain gardens and similar installations in public places like parks and rights-of-way — as first steps to demonstrate the viability of green infrastructure as a tool to help manage stormwater. The Watershed Institute is also developing a summer “Arts and Watershed” training institute, to teach young people how to respond as artists to complex environmental issues. The Landis Sewerage Authority, a winner of Jersey Water Works’ inaugural One Water Award, has developed its asset management plan, called Project 2040. It highlights which are the priority actions to take to keep facilities running optimally until 2040. For the $23 million over the next two years that the authority will need for upgrades, it worked with a consortium of local banks in order to keep money in the communities it serves. The Waterfront Alliance sponsors an annual City of Water Day, to educate residents in urban waterfront areas on the importance of a healthy, working waterfront to the local economy. Sustainable Jersey is developing a Water Gold certification, to recognize municipalities that take a holistic, systems approach to protecting and conserving water. New Jersey American Water has provided a grant to the city of Camden for upgrades to Cramer Hill Park, including significant green infrastructure and a stream daylighting project, bringing with it jobs, better stormwater management and reduced flooding, and greater park access. IMEX Consulting Group has designed a packet wastewater treatment plant that will allow a municipality to become independent of its larger regional system. Once online, the plant will be able to generate 1.3 million gallons of reusable water per day, of which 250,000 gallons per day will be used locally for various applications. WAPRO, a flood-prevention products company, is working with the Port Authority of New York and New Jersey’s three airports to stop jet-fuel runoff from infiltrating into nearby waterways, thus rendering those waterways cleaner and better able to support a range of aquatic life. At RWJ Barnabas’ post-acute healthcare facility in Livingston, Contech Engineered Solutions has installed a 65,000-gallon cistern to harvest rainwater, which will be used for local irrigation, and which has allowed the municipality to lower the quantity of water that must be addressed in its stormwater management plan. 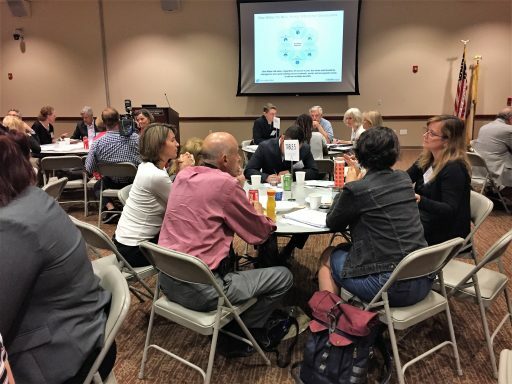 From north to south, the breadth of solutions found here in New Jersey underscores not only the complexity of the issues found at all stages of the water cycle, but how addressing one problem has positive effects throughout. It also shows once again that the whole effect is greater than the sum of the parts, when a diverse collaborative such as Jersey Water Works can have by each member working in its area of expertise toward the common goal of One Water.